Alprazolam addicts are in danger of serious side effects due to abuse. Alprazolam is commonly sold under the brand name Xanax and is prescribed to treat anxiety and panic disorders. The medication is a benzodiazepine tranquilizer drug that is known for acting as a sedative on the central nervous system. While alprazolam can be highly effective when taken as prescribed by a doctor, there are some people who choose to abuse the medication for recreational purposes, or in order to get stoned. Before choosing to take Xanax as a recreational drug, here are some fast facts to consider. A person taking Xanax under medical supervision with a doctor’s prescription is not considered at significant risk of addiction, especially if they continue to only take the doses prescribed. However, taking the medication for non-medical purposes increases the risk of developing a dependency on the substance, or addiction, especially if taking higher doses. 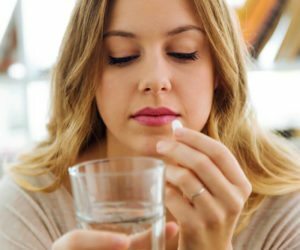 As with almost every medication, some people may experience unwanted side effects when taking the Xanax. Some of the milder alprazolam side effects can include drowsiness, dizziness, headache, blurred vision, impaired concentration, and memory, diarrhea, nausea and vomiting, dry mouth, increased sweating. However, there are some more serious alprazolam side effects that could occur. These include tremors and shaking, uncontrolled muscle spasms, confusion, hallucinations, abnormal heartbeat, chest pain, seizures, profound depression and suicidal thoughts. It is possible to overdose on Xanax, especially if the drug is being taken for non-medical purposes. Common symptoms of alprazolam overdose include dizziness, muscle weakness, fainting, excessive drowsiness, shallow breathing, low blood pressure, and coma. An alprazolam overdose can occur with relatively mild doses, especially if taken with other types of drugs or alcohol. A person who has been taking Xanax consistently over a period of a couple of weeks may feel as though they need to take higher doses to achieve the same effects. Tolerance to alprazolam develops relatively quickly. Taking higher doses of the medication that were prescribed by a doctor increases the risk of accidental overdose and addiction. The movies and TV shows have led many people to believe that only opiate drugs, like heroin, can cause nasty withdrawal symptoms. What you may not realize is that stopping the use of alprazolam suddenly after abusing the drug for a period of time can cause withdrawal symptoms that could be potentially dangerous and even life-threatening, to the point of requiring emergency medical assistance. The safest way to stop taking alprazolam is to slowly taper the dose down under medical supervision. Many people believe that stopping use of any drug or alcohol simply means going cold turkey. They think they can just quit, hang tight through a couple of uncomfortable days of withdrawal symptoms and then they’ll be cured. There’s also an urban myth circulating that Xanax (or ‘Zannies’) don’t cause the nasty physical withdrawal symptoms that detoxing from opiate drugs can cause. In reality, the physical symptoms of Xanax withdrawal may not be as obvious as detoxing from other types of drugs. However, the psychological symptoms can be devastating. Some of the more serious alprazolam withdrawal symptoms can include irregular heartbeat, seizures, extreme anxiety, profound depression, and suicidal thoughts and tendencies. If you’re caught in the grip of Xanax abuse or addiction, the first step to regaining control of your life is to reach out and ask for help. The journey to recovery from addiction begins with you.